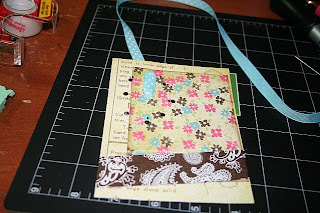 Ally Scraps: Use Your Ribbon Stash! I have one and I know you do too! A huge stash of RIBBONS! 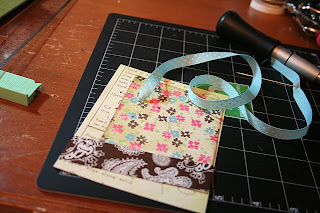 It is easy to get stuck in a rut with your ribbons. I find myself using them in the same way over and over. Stapling it as a "fringe"
2. 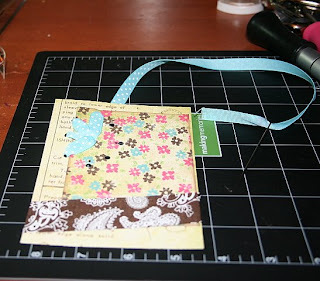 Use the anywhere hole punch to punch holes in the marked spots. 3. Thread your needle with the ribbon and sew up through the middle hole leaving a small tail on the opposite side. Sew back down through one of your "petal" holes. 5. 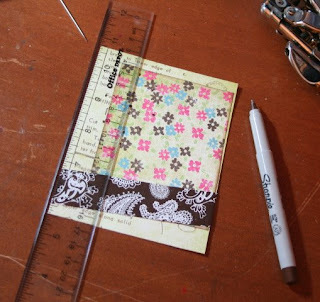 To finish the flower tape the ends to the back of the project! Now, go have some fun making some ribbon flowers!!! 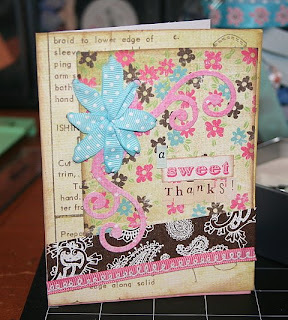 I will be back soon with another new (or forgotten) ribbon project!!! Trish that is a super cool flower! OMGosh, Trish. I love what you did with the ribbon. I am guilty of having a ton of it, all in pretty glass jars. And I rarely use it :( Thanks to you I will give your technique a try. I think it's very clever! Trish, that is so cool! Thanks for the great tutorial!